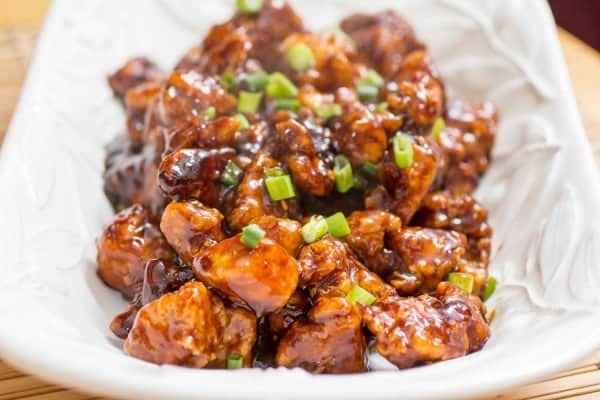 Copycat Orange Chicken has all of the big orange flavor AND the signature crunchy texture of your favorite take-out dish, but without the take-out bill! This Copycat Orange Chicken is one of my “go-to” recipes to get the job done when I’m cravings take-out, but not the huge bill. 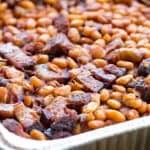 It costs a fortune to feed this crew when it doesn’t come from our own kitchen, so when I want to save rather than spend AND cook a homemade meal that ALL the kids will actually eat for once, I make this! 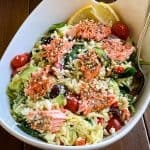 Don’t let the ingredient list scare you here. You can skip the orange extract if you don’t have it, but I think it adds an extra kick to the flavor of this. 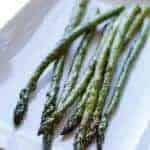 There is nothing hard or complicated about this, and you can customize the sauce to your liking. You want it spicy? Toss in some extra chili pepper or some Sriracha. I love using my wok to do this kind of frying. 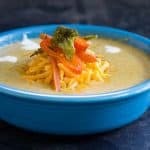 It is easy to get out of the pan, and maintains a pretty even temperature all through the oil. 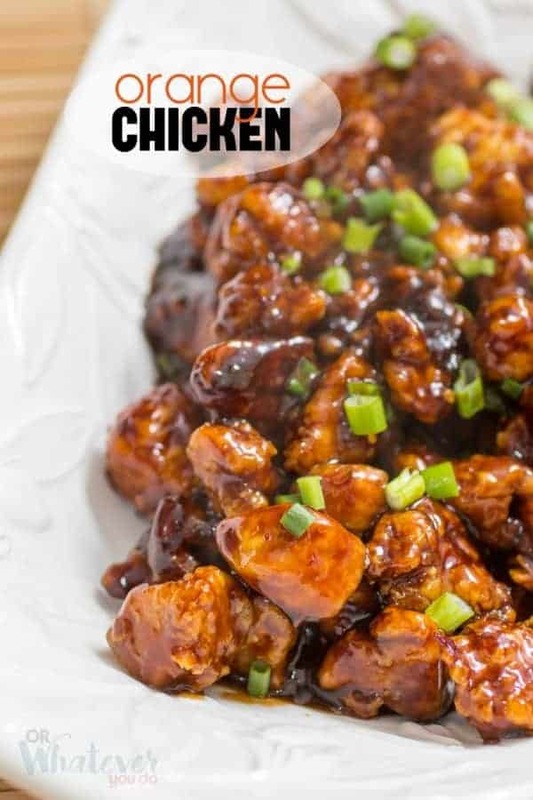 How do you make Panda Express Copycat Chicken? 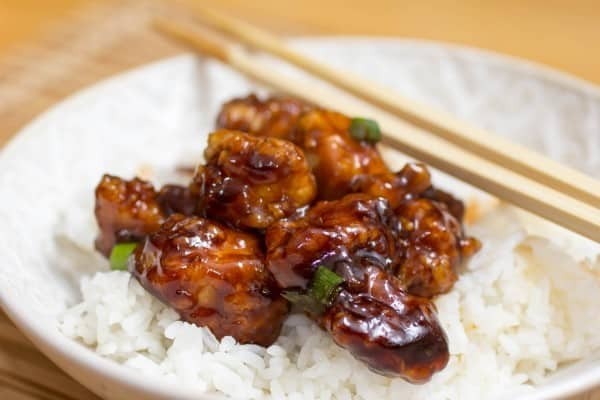 Orange chicken is one of my favorite dishes at Panda Express, and this recipe is one of the best homemade copycats I’ve ever tried. The crispy breading and sticky sweet orange sauce are the perfect mix. If you want to get an exact copy, use the Panda Express bottled Orange Chicken sauce! Is Orange Chicken and Sesame Chicken The Same? Basically! The breading is the same, but the big difference here is the flavors in the sauce. 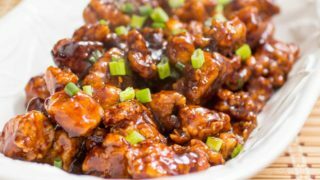 If you are looking for sesame chicken, I have a wonderful sesame chicken recipe I’d love you to check out! 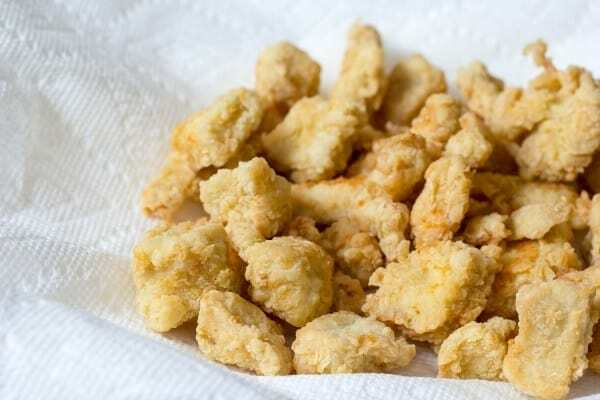 That version isn’t breaded, but it is super delicious and a slightly lighter version than its breaded and fried cousin. 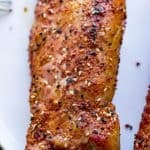 I just love how to sauce fully coats the chicken and adds such amazing flavor. All you need is some rice and some steamed vegetables and you have a complete meal. This would be perfect with my homemade fried rice (just omit the chicken). If you really want to make a take-out feast, you could also whip up this garlic beef and broccoli, my honey pecan shrimp, or my sesame vegetables with rice noodles. 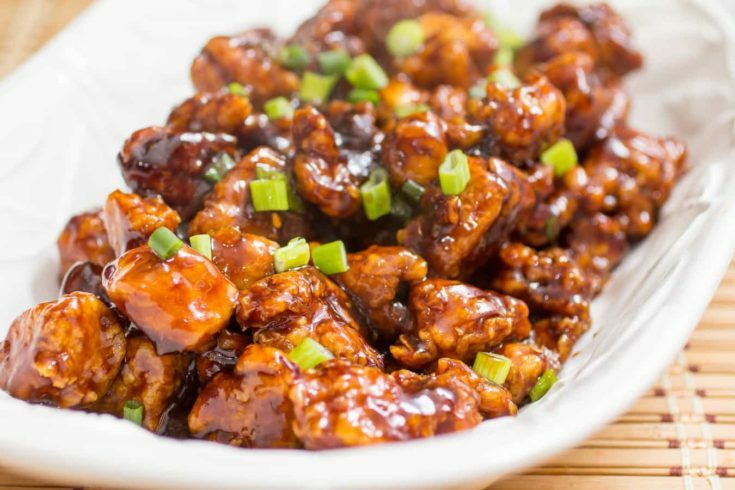 When you are craving some crispy sweet orange chicken, don't feel like you need to run down the street. Make your own homemade orange chicken for a fraction of the cost. Combine the chicken, egg, 1 1/2 teaspoons salt, white pepper, and oil in a bowl. Stir to combine, and set aside. Mix together the corn starch, flour, and orange zest in a separate bowl. Start preheating your oil over medium to medium-high heat. 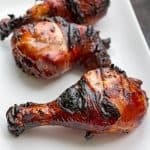 You want the chicken to fully cook in 2-3 minutes. Working in batches, remove the chicken from the egg mixture, and place into the corn starch/flour mixture. Tap off the excess, and place into the hot oil carefully. 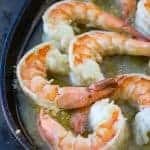 Don't overfill your pan or the oil will cool off too much to cook effectively. Remove from the oil when the chicken is crispy and cooked through to a paper towel covered plate. Continue breading and cooking the remaining chicken until it is all cooked. Combine the 1/4 cup orange juice and corn starch. Mix until there are no lumps, and set aside. In another pan, place the 1 teaspoon canola oil and heat over medium high heat. Add the ginger, garlic stir-in paste, chili pepper stir-in paste, and sesame oil. Stir fry for about 30 seconds, and then add the soy sauce, water, sugar, white vinegar, and orange extract. Add the chicken back into the pan, and toss to coat. Drizzle in the thickener mixture, and continue stirring until thickened. Toss in the green onions, reserving a few to garnish the final dish. IT looks so yummy. 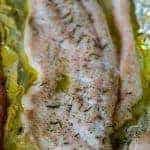 My family like chicken recipe. We will try to make it this weekend.